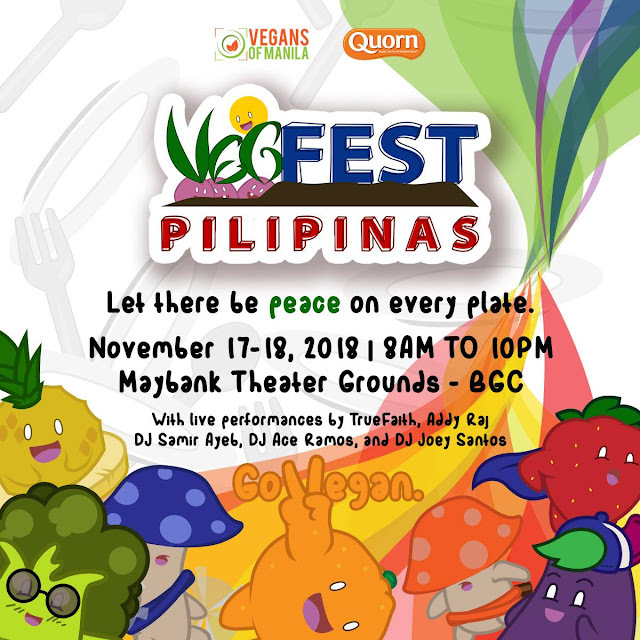 The VegFest Pilipinas is the first ever vegan lifestyle and food festival here in the Philippines. This year, VegFest Pilipinas is going to be a two-day festival that will feature vegan food, cooking classes, yoga, dance, and work out classes, talks, and live performances among many others. This is my first time to attend VegFest and while there are plenty of things to look forward to the entire run of the festival, those which I am really excited about are the cooking classes and live music performance. And I learned that Quorn Philippines, one of the best products to buy when you are transitioning to a cruelty-free lifestyle, will release three more vegan products which will be available at the VegFest Pilipinas 2018 - I am so excited about that. 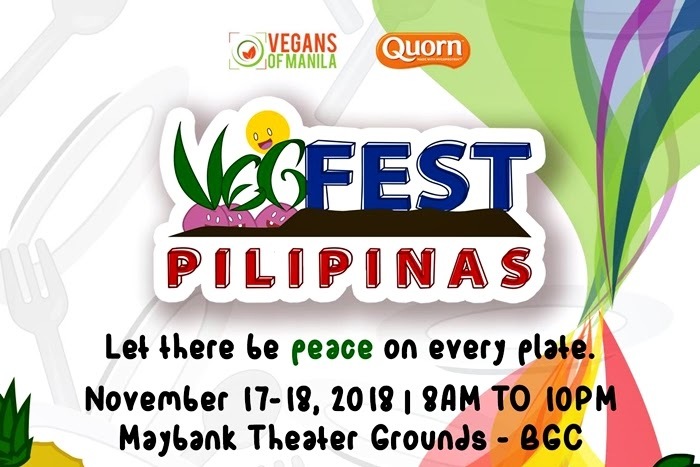 The VegFest Pilipinas 2018 is brought to us by Vegans of Manila and Quorn and it will be on November 17-18, 2018 (Saturday-Sunday) and will be held at BGC Art Center. It will be hosted by actress/emcee Elle Velasco, PTV4 news anchor Rich Cruz, and comedian Stanley Chi. They are encouraging everyone to go zero waste and bring your own containers, utensils, and bags. Lucky zero wasters who will be spotted by the VegFest team will win goodies. This week is a tad hectic for me but I am grateful that there's VegFest Pilipinas 2018 to look forward to this weekend. I hope you could be there too! 17 comments on "Come One, Come All at The VegFest Pilipinas 2018 and Let There Be Peace On Every Plate"
One of the famous Manila food bloggers, a non-vegan writing about a vegan festival, there's hope for humanity after all! Thank you so much for sharing about VegFest Pilipinas. Good luck on your transition. Namaste! Thank you for sharing about this Ms. Yedy. I am also curious about Vegan lifestyle. See you at VegFest this weekend! Wow! Good luck on your transition, Ms. Yedy. Kaya pala andami mo nang Vegetarian/Vegan Recipes :) Keep it up! I have a lot of Vegan friends, I will join them this weekend. I hope to see you there. See you this weekend Ms. Yedy! More plant-based food recipes in the future please! Quorn is also my favorite! Please write recipes using Quorn products Ms. Yedy, please!!!! I knew you will write about this! Hahaha! I've been reading your blogs for the past years because I love your photography and the way you tell your stories. I went vegan last 2013 and I still read your blogs regardless. 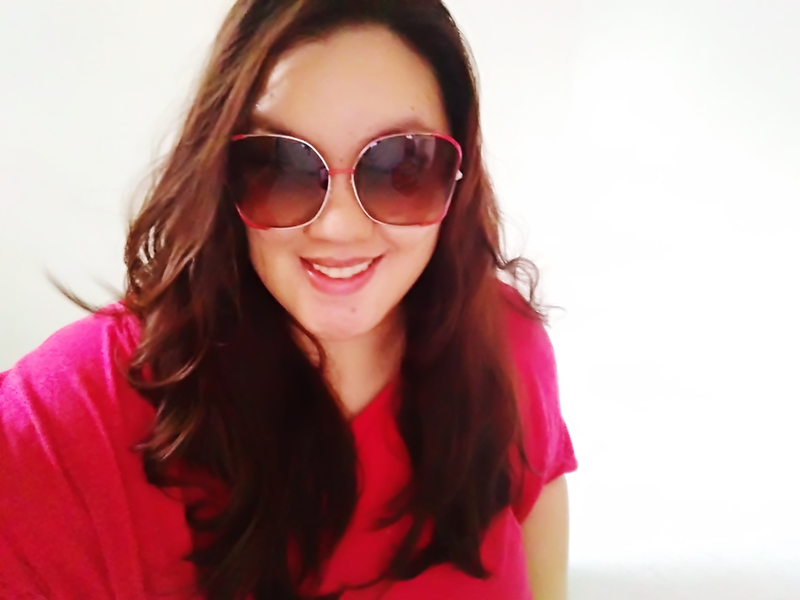 I am happy when I read your recent blogs that you are into plant-based diet lately. Good luck on your transition. It is not as hard as they say. My entire family will go to the Vegfest. I hope I could meet you in person Ms. Yedy. Please write more about vegan blog posts like this in the future. Thank you for writing about this! Yes! I am also excited for Vegfest Pilipinas this weekend! Ms. Yedy! I convinced my sister to join me this weekend. I am also curious about this lifestyle. Thank you for blogging about this and for reminding me that this weekend will be fun! Hi Ms. Yedy, is this a free event? is there entrance fee? Ms.Yedy, this is something new. I am a long-time reader. I read all your blog about different food fairs since 2009 particularly the Best Food Forward and Ultimate Taste Test. Now you made me curious about VegFest. My hubby and I will definitely check this one out. My family is also looking forward to this! I hope there's more food compared to Vegfest they held in Eastwood. 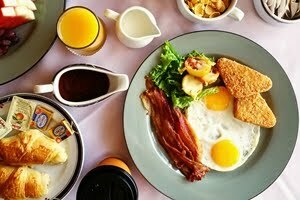 Hi Yedy, I love reading your blogs especially the recipes. My in-laws are vegetarians and they recently gave me Quorn products. I hope you could share some recipes using it. Thank you so much in advance. I will bring my in-laws at VegFest this weekend too!